Months of data-gathering, weeks of number-crunching and countless hours in front of a screen making sense of the numbers. 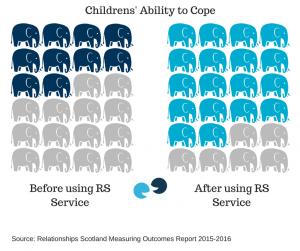 Statistical analysis is crucial to show the impact of your charity’s work. Make your findings compelling and accentuate the elements which show-case your impact. I’m one of those annoying people who breaks out in hives the moment a graph enters the room; hyperventilates at long division and has been known to faint in maths exams. Unfortunately for you, I’m representative of a large part of your audience who struggles to connect with numbers. 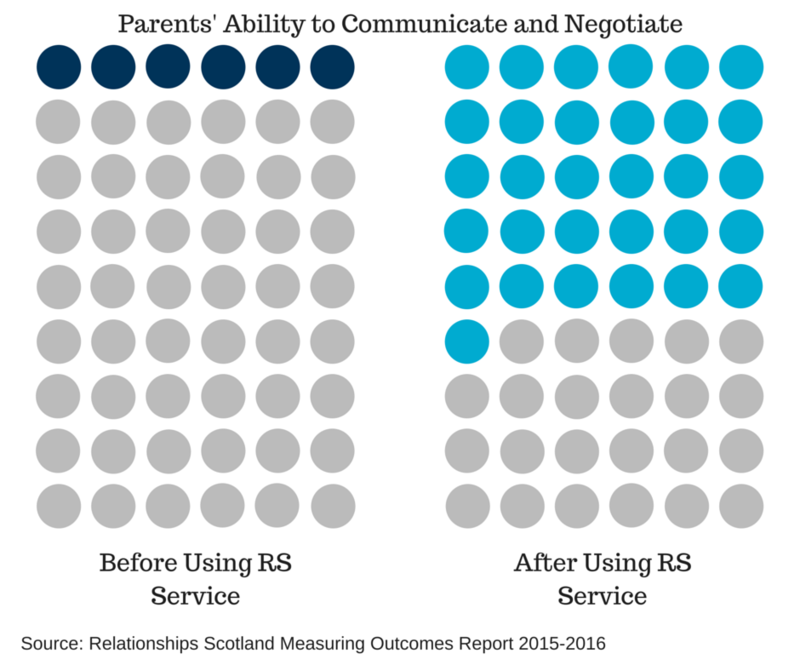 To get me to pay attention to your data, you need to illustrate and concretise it. 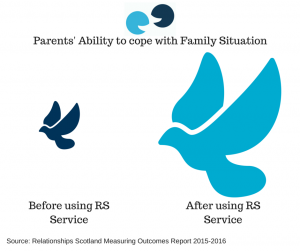 In this blog, I use statistics from Relationships Scotland’s Measuring Outcomes Report 2015- 2016. Using Canva, I converted figures into a more concrete format with a couple of different methods. They’re being drip-fed in weekly Facebook posts. What’s your purpose for using your numerical facts? Do you need your audience to remember specific numbers? 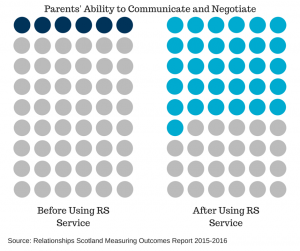 Are you using them to persuade? As a call to action? Think carefully about your reason for pulling out specific figures: once you know this you can act to make the numbers meaningful. People are intrigued when you’re able to draw comparisons, show trends, understand connections and find patterns. Plus, these figures are more likely to stick in their minds. For example, you when you show a bar graph comparing average house sizes in countries throughout the world, you’re unlikely to remember the square footage in each location. An effective visual representation makes you more likely to remember the relationship of each home size and how it measures up to other countries. Kids learn mathematical conceptions by using concrete objects: building blocks and toys. They’re unable to conceptualise numbers from such an early age and this method of understand the world sticks. It’s a basic way for humans to interact with the world. When you transform statistics or data from something abstract to something the audience can see, you make it easier to comprehend and memorise. It’s a short-cut to understanding which makes the data more compelling, especially on social media channels. This is easy to accomplish when you want to visual percentages: all you need is 100 circles. Colour the corresponding number of circles to literally show what the percentage represents. Or, if you don’t have the patience, convert to a smaller number. 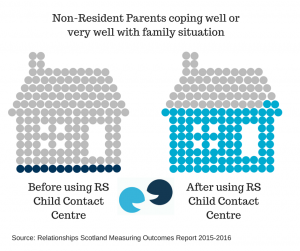 Get creative: these figures concern non-resident parents’ ability to ‘cope’ with their family situation before and after seeing their child at a Child Contact Centre. Placing the coloured circles in the shape of a house connects a traditional concept of ‘home’ with modern experiences of family life. Try displaying your numbers through pictograms: simplified or iconic graphics that resemble an object. 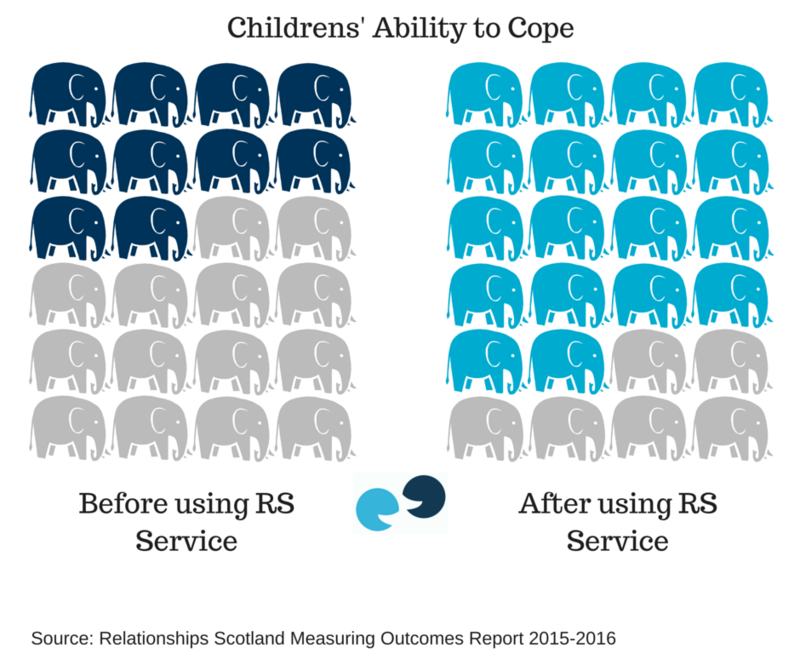 If your statistics are about children, use toys. Decide on a unit of measure and repeat as appropriate. Many of my examples have compared our intake and outcomes statistics from Relationships Scotland services across the country. These comparisons get to the core of our interest in the figures: we’re showing our direct, measurable impact on family life and relationships. 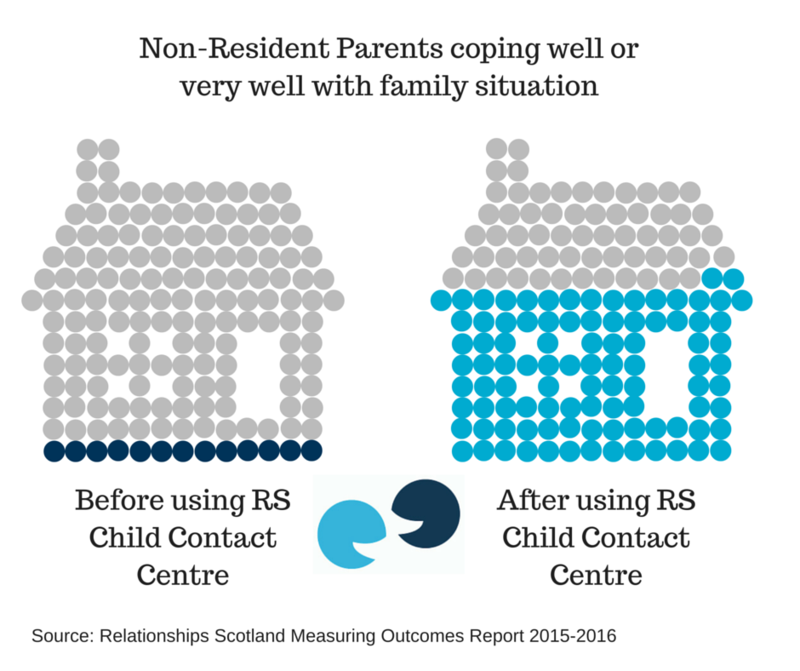 For example, families’ ability to ‘cope’ with their situation (ie separation etc) increased threefold after visiting a Child Contact Centre, Mediation, or some form of Counselling. Using the dove, symbolic of peace, I increased its’ size by a factor of three. Great interviews and case studies bring your stories to life. But how do you get the best studies out there? Where do you begin? How do you get the best, juiciest bits from people, whilst respecting their privacy? 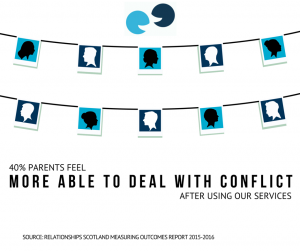 Rosie and I share some insights from our experiences of interviewing for Third Sector case studies. Rosie’s been working in Third Sector Communications for the past 10 years, with varied roles including Head of Communications for the Mental Welfare Commission. 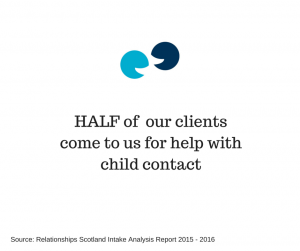 Thanks to Rosie for sprinkling some of her gold dust on this and letting me cannibalise her training materials for this blog post. 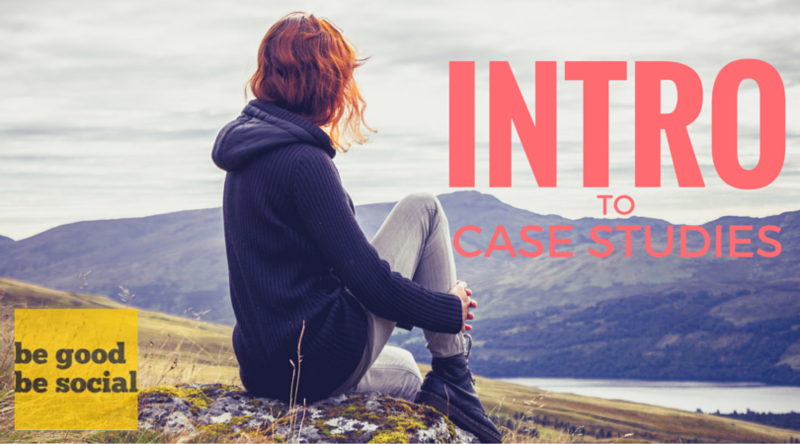 There are 3 kinds of interviewing you can use for your case study work. 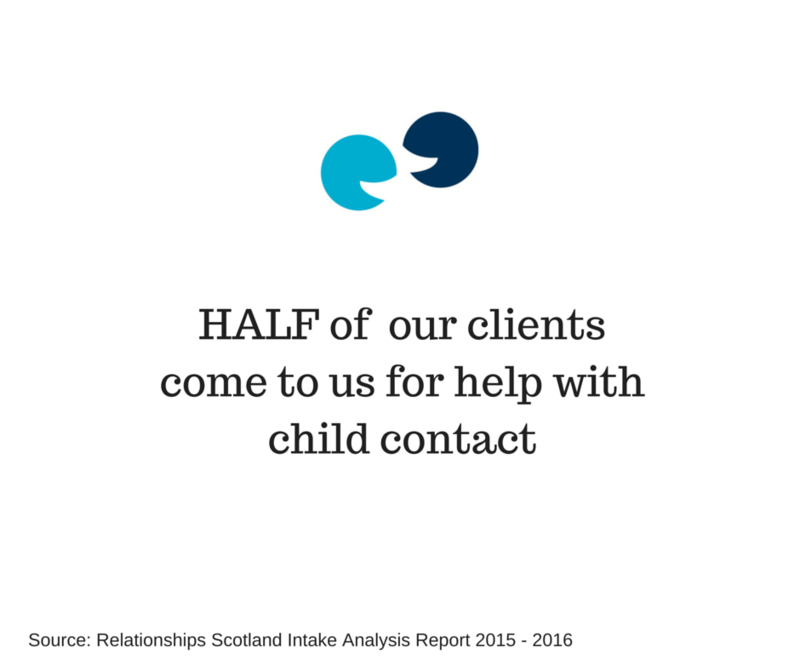 Via email, phone or in person- getting it right for phone and face-to-face interviews is key. Firstly, make sure you’ve set aside plenty of time to allow your interviewee to share unrushed and in more depth. If you’re on the phone, ensure you’re in a quiet spot, with good signal and preferably using hands free. Remember to check that your interviewee is comfortable and free to speak as well. You need them to be as relaxed as possible- and part of that is checking that they’ve got the privacy to speak before you launch into your questions. When meeting face-to-face, find somewhere that’s comfortable and suitable: their living room? A cafe? Or just a quiet corner at work that affords some privacy. Chances are, the more relaxed you both are, the better the interview will be. It’s best to start with what message you hope to spread through this person’s story. 2) Discuss questions, but don’t prepare a script. 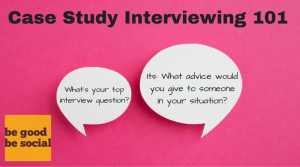 Coming up with interesting questions is the backbone to your interview. If you’re stuck with what questions to ask, brainstorm with your colleagues. It’s best to start with what message you hope to spread through this person’s story. Want to focus on empowerment? Ask directly. You’re not a lawyer: you can be leading in your line of questioning. Ask a mix of open and closed questions. I like to start with some basics and have a general chat before going into more depth. Keep the meatier questions for the middle of the interview and then end with a couple of more closed questions. Why? This allows the person who’s been so generous with their time to relax and recover from any personal or emotional topics they might have spoken about; they’ll be able to wind down slightly. You don’t know what might come up in your interview, so have a couple of key phrases you can fall back on if your interviewee discloses something really personal or upsetting. If you’re stuck with what questions to ask, brainstorm with your colleagues. It’s best to start with what message you hope to spread through this person’s story. Anything interesting come up? Be open to what they’re saying and let that guide your interview. It might not be the narrative you were expecting and that’s probably a good thing! In March I interviewed a number of designers at Edinburgh Yarn Festival about the health benefits of knitting. In particular I was surprised by Julia’s response: “I’m a graphic designer and when I get stuck with something or can’t think I pick up my knitting and whatever the problem is just seems to fix itself.” I’d never experienced this and we chatted about this for a few minutes. Make a personal connection! You know you’re more likely to share more of yourself when you’ve found common ground. Part of this is simply being human and reacting to what you’re being told. This isn’t a scientific or an anthropological exercise- you can empathise, offer comfort or share in the joke. I once pressed pause on an interview when the person I spoke with shared that she was depressed to the point of suicide (this isn’t day-to-day, we were speaking about long term health problems). On another occasion, I was speaking with a guy about his divorce and the new way his family was structured. We spent about ten minutes chatting about the hurt he’d felt, before he moved on to discuss the ways my charity’s service supported him. I didn’t use that what spoke about, but my willingness to listen and engage with that part of his story meant he felt heard and could move on to speak more constructively. Rosie is delivering some of our upcoming workshops: Social Reporting using video and audio on 25 August 2016 and her next workshop on Using Case Studies is 8 December 2016. Want to develop more skills in using case studies, or experimenting by using video or audio? This image moved politicians, and citizens across the globe, inspiring people to action. For others, this image was totally debilitating, moving them to despair. 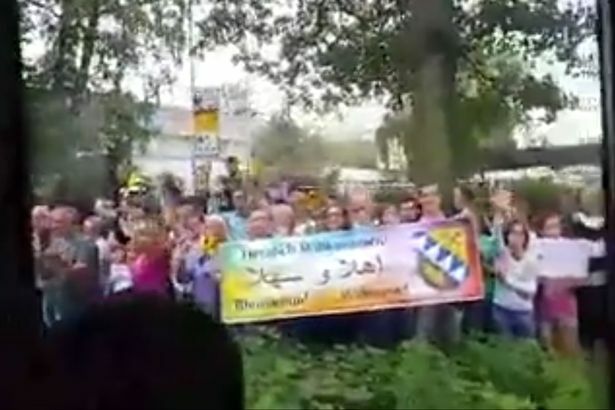 In fact, this image of a German town welcoming refugees is far more positive and motivational. Seven years ago, Ben was standing on a ledge on Waterloo Bridge, contemplating suicide, when a stranger approached, offering him a chat and coffee. This stranger kept Ben chatting until the police showed up and were able to take him to hospital. Fast forward six years and Ben’s #FindMike Twitter campaign to find his mystery Samaritan is successful: turns out his name was Neill. A fuller version of this story is available here. But it was the broad strokes, simplified version of this story which caught the imagination of millions. As in, don’t fall into the hole of just describing your project: highlight your impact! Here’s where I gently say that although you and your team may eat, drink and sleep your new project, NO ONE ELSE DOES. Yet. So you need highlight the why and how you’re making a change. “We gave free wifi to block of council flats” then becomes “Mhairi given new lease of life with free WIFI” (or something). Make it personal, use real people, and where possible use real names and photos so that people can identify with them. Ok, hands up, this is a non-judgement zone. Who has a case study section in their website? Labelled case studies? Buddy, you need to use the stories that lovely people spent their time sharing with you in a more worthwhile way. Use them inventively: record audio clips; make a simple video; try stop-motion animation. And then put these stories out there: Facebook, Twitter, Youtube. Got a younger crowd? Try Snapchat or Instagram. The press love real-life stories, especially with a photo. Want to develop more skills in using case studies, or experimenting by using video or audio? Rosie is delivering some of our upcoming workshops: Social Reporting using video and audio on 25 August 2016 and her next workshop on Using Case Studies is 8 December 2016.